More than 1,000 people have complained to media watchdog Ofcom about Channel 4 plans to allow a previously evicted Big Brother housemate to return. Fans said they did not want to call premium rate phonelines again to stop candidates returning to the house. Organisers have invited viewers to pick four from 10 evicted contestants. One of the four will be put back into the house by the remaining housemates. Channel 4 has said all profits raised from the vote will go to charity. "As soon as the phone lines opened following Friday night's show, viewers flooded the voting lines to bring an ex-housemate back in what is proving to be one of the most popular votes this series," said a spokeswoman. "Almost £150,000 has already been raised for charity from this vote alone." 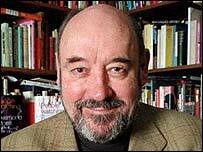 Meanwhile, the seventh series has drawn criticism from natural historian Desmond Morris, who said "the level of cruelty this year exceeds anything seen before. "If the present trend continues in future years, Big Brother may well become a laboratory experiment so extreme it will end up being banned," he writes in the Radio Times. A zoologist, author and TV presenter, Morris is best known for his 1967 publication The Naked Ape. Whoever is picked to return to the house after this week's eviction will remain in the house until the show ends on 18 August, and will be eligible for the show's £100,000 prize. Morris calls this year's contestants "unusually unpleasant"
The current favourite to return is 24-year-old Nikki Grahame, the seventh housemate to be evicted from the show. Morris told the Radio Times this year's series features "an unusually unpleasant bunch of weirdos" united by the fact that they are all "naive egotists". In the same issue, however, TV presenter Dermot O'Leary - host of E4's Big Brother's Little Brother - defends what he calls "the biggest show for the past decade". "The cruelty is all part and parcel of Big Brother," he is quoted as saying. "But one thing I do know is that the level of aftercare is tremendous." Evicted housemates, he said, were "not just dumped back into their environment and left to get on with it". Has this year's series strayed too far from the original concept?